We went the wrong way and it took us a while to realize it. 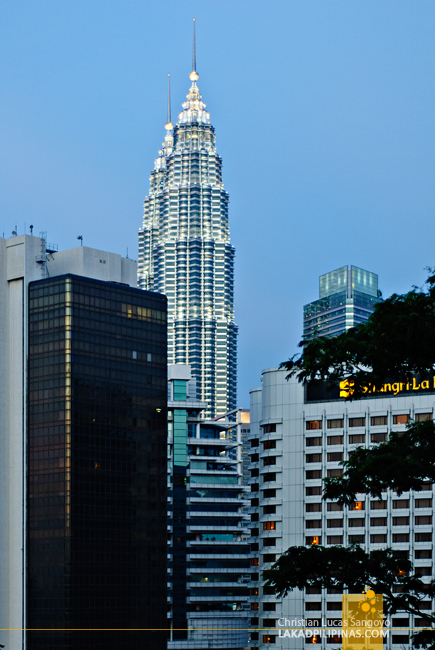 From the Apple Hotel in Jalan Alor, we saw a map plastered on one of its wall on how to get to the KL Tower—yup, Kuala Lumpur has another tower up its sleeve beside the celebrated Petronas Towers—we followed it and thought we were on the right road until we asked a local; we were directed to the opposite direction. Ugh. Can we walk all the way there? We asked. The two girls we asked looked at each other and giggled. Definitely not! They replied. 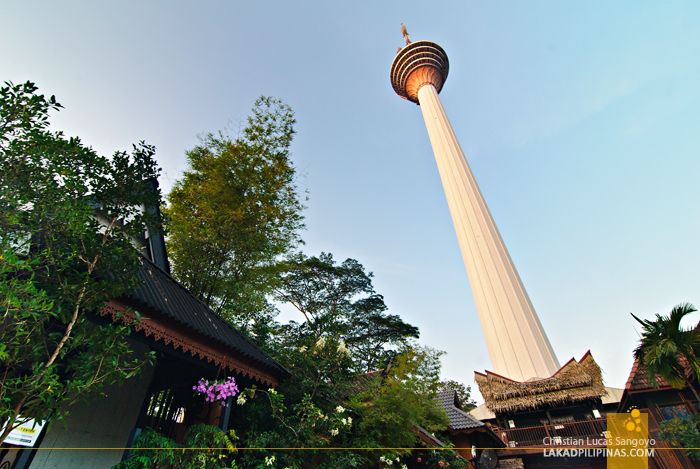 Kuala Lumpur’s KL Tower has been the city’s icon until the Petronas Towers came along and stole its thunder. After almost four years of construction, it started gracing the shimmering skyline of the city by the mid-nineties. 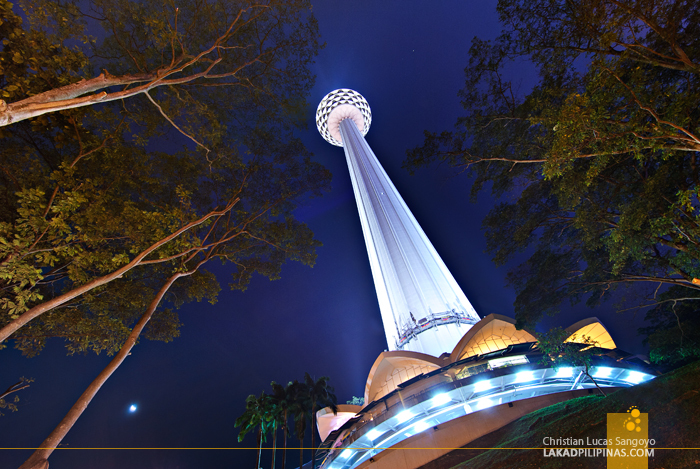 It stands 1,381 feet high, a hundred and one feet short against the twin towers of Petronas. But the tower is still quite impressive and has even attracted numerous events like the annual race to its top, pitting contestants against its 22 levels with a total of 2,058 whopping steps. Let me take the elevator now, please. It took us almost an hour of walking, well since we went the wrong way, before we reached the KL Tower. 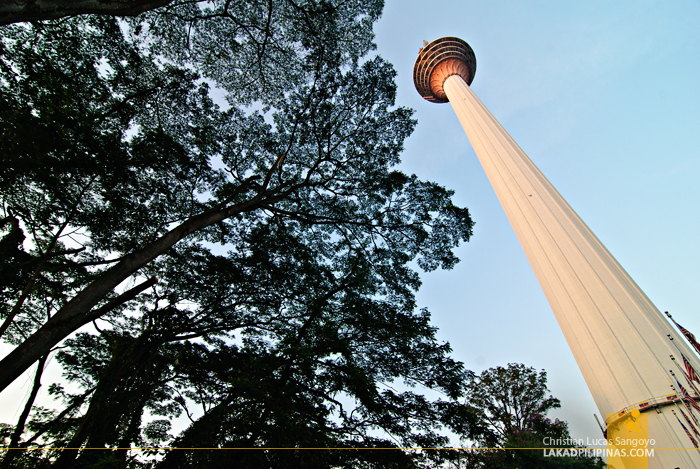 It sits on a hilly part of Kuala Lumpur, and from the hill’s base, we waited for the free tourist shuttle to fetch us. We simply don’t want to walk anymore, we were dead tired. 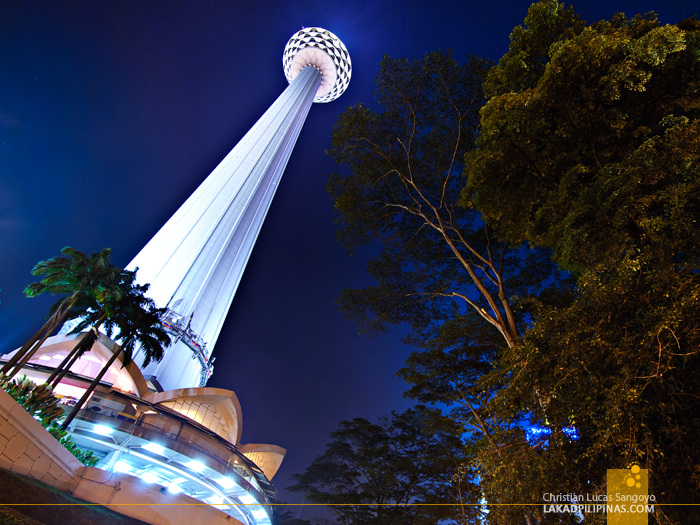 Besides the mini-shopping center found at the base of the tower, one can also visit its revolving restaurant which looks quite art deco-ish from our viewpoint a thousand feet from the ground. Right below it is the highest observation deck open to the public at KL; we weren’t really surprised to find that it comes with a fee to access it. 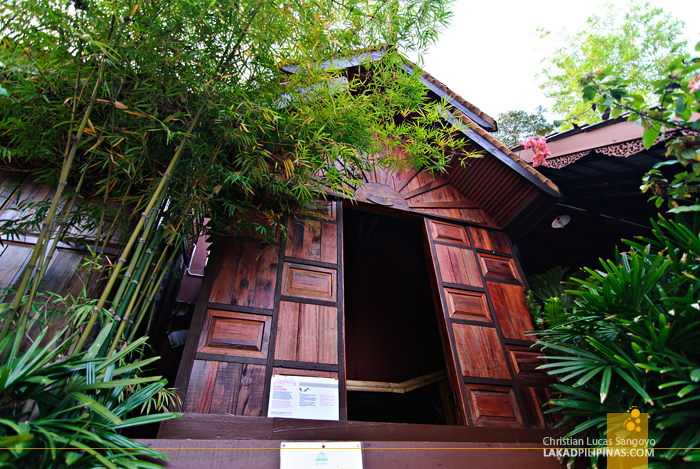 Since we were scrimping and we really didn’t have any plans of eating there, we contented ourselves on simply watching the free theater presentation of the tower’s history and checking out the adjacent 1 Malaysia Cultural Village where reproductions of traditional Malaysian kampung houses are on display. The view from the base of the tower, being already elevated was not that bad too. 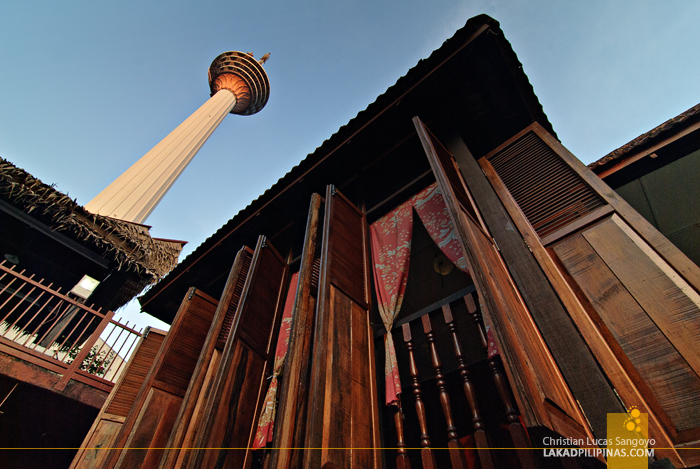 From here, one can see the beautiful skyline of Kuala Lumpur. It would be best to time your visit just before sunset to the early evenings to see the city in all its glorious splendour. We’re quite glad that all that walking wasn’t for nothing, the panorama of the city more than made up for our loss calories.